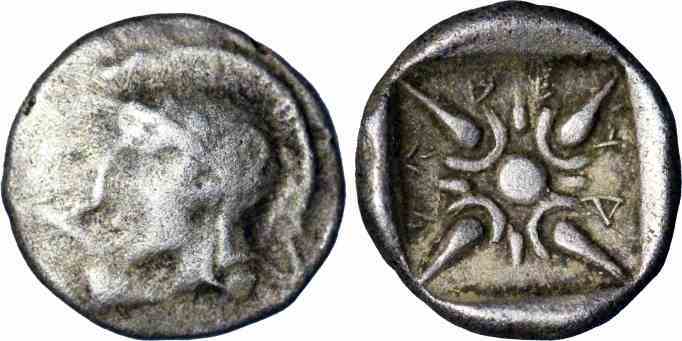 Silver obol, 9mm, 0.68gm, issued 500-400 BC. Obv: Head of Athena right in crsted helmet. Rev: Floral/stellate pattern within incuse square.